1. LEED Standards. LEED stands for Leadership in Environmental Standards and Design. It is a widely-used standard for building materials that emphasizes whether materials are environmentally friendly and practical or well-designed. The LEED stamp on a product means that the material has passed a third-party verification in categories including energy efficiency, high performance, and sustainability. New construction and major renovations of government buildings require LEED certification. 2. Durability. The durability of materials is critical in government projects because these projects are being built and paid for with your tax dollars. Government buildings are built to last, and the products used to build them must also be able to withstand the test of time. Tenure of the products should match the tenure of the building as much as possible. 3. Secure Buildings and Disability Accessibility. There are all kinds of requirements for disability accessibility in the US. These requirements are defined in the ADA standards defined by the Department of Justice. ADA standards for Americans with Disabilities Act of 1990. These guidelines were revised in 2010. Regarding flooring, the requirements cover things like how hard the floor must be and how much friction the floor requires. For example, a very thick plush carpeting would not be acceptable because someone in a wheelchair would have a lot of difficulties maneuvering over it. Similarly, a cobblestone floor would have too much friction and cause unbearable vibration for someone in a wheelchair. Choosing the right flooring for a government project is a tricky business. It’s important to balance the aesthetics of the project with the many different types of specifications that are required as well as the cost constraints. 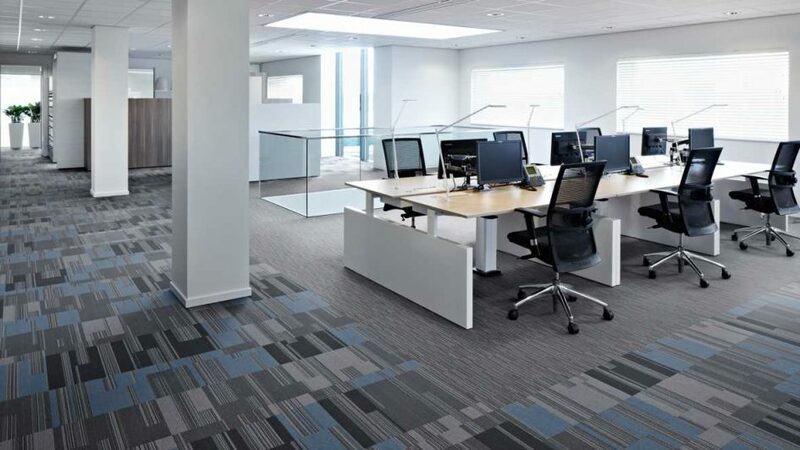 We specialize in GSA commercial floor covering and installation projects and have over 35 years of experience working with state, local and federal governments and property management companies in the Washington DC/Metro area. Let us help you with the flooring for your next flooring renovation project.